Animal Wildlife | Ploughshare Tortoise | The Angonoka or Ploughshare tortoise is one of the ten most endangered animals in the world. The Ploughshare Tortoise is a land tortoise that lives only on the island of Madagascar. They are considered the most threatened species of land tortoises because many of them have been captured to keep as pets, and because their habitat has been turned into farmland. 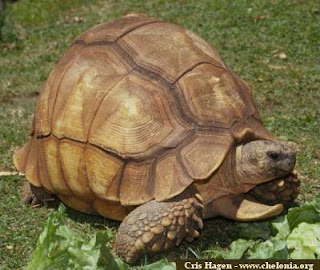 The Ploughshare Tortoise is characterized by a bump that looks like a shoehorn extending from its neck. This is actually part of the tortoises' shell on its stomach. Male tortoises will use this to flip over their opponent in a duel. 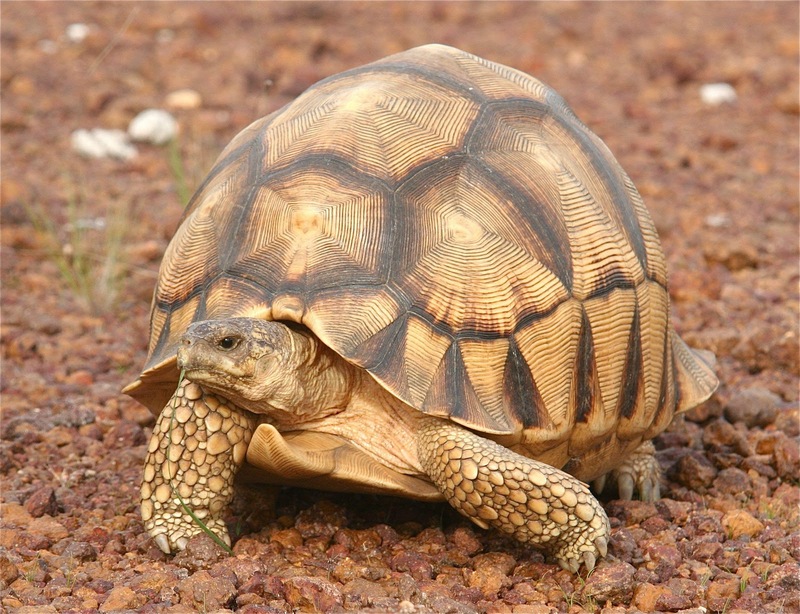 The Ploughshare Tortoise is the most threatened species of land tortoises. One reason for this is their popularity as pets. 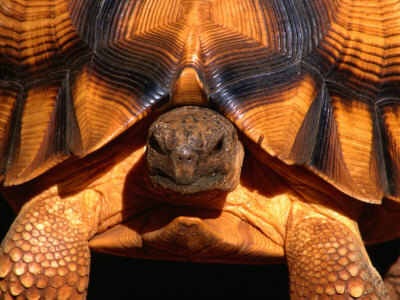 Most tortoises retract into their shells to hide and protect themselves from their enemies. However, for hunters interested in selling them as pets, this instinct to hide and remain motionless in their shells at the sense of danger is a convenience because it makes them easier to catch. 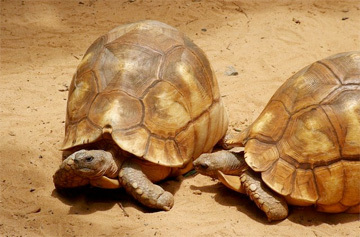 Many of the Ploughshare Tortoises have been captured to be sold as pets, thus reducing their population. 0 Response to "Ploughshare Tortoise"